Beauty favourites seem to be a more regular feature on this blog recently and I’m ok with that – hope you don’t mind! There’s something nice about throwing all of your favourites into one post instead of having them in their own little categories of skincare, haircare etc. 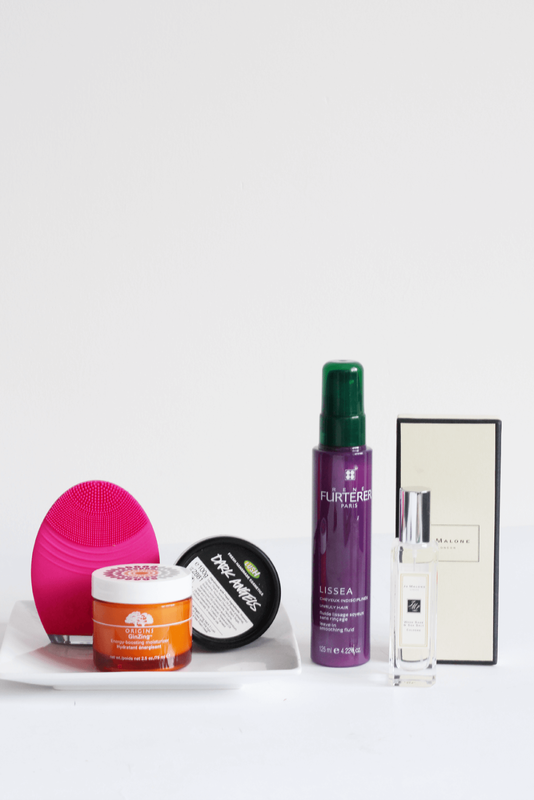 Starting with skincare, I’ve been loving three little products: a cleanser, a moisturiser and a nifty little tool. The cleanser is LUSH Dark Angels Cleanser, which is an amazing product I use once or twice a week to give my face a good deep cleanse and a scrub. It sort of feels like you’re rubbing mud on your face, but it always leaves me with the softest and most radiant skin afterwards! The moisturiser is Origins Ginzing Energy Boosting Moisturiser, which now comes in an amazing 75ml tub for the same price. So, you’re getting £34.50 worth for only £25 – bargain! I’ve used this moisturiser before and love how light, yet hydrating it is. It gives skin such a boost and smells amazing. 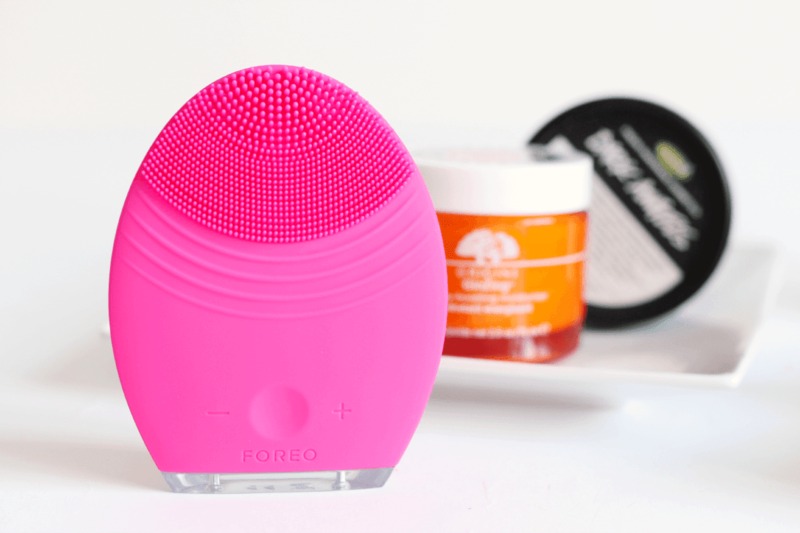 As for the handy tool, I’ve been giving the FOREO Luna Mini a whirl recently. I’ll give you a brief overview, as my skin has been breaking out like mad, so can’t give an in depth review just yet. It’s basically a cleansing brush, with a sleek and pretty design (love the colour) and offers a deep cleanse while massaging the face. It’s insanely soft, even though it doesn’t look it, and I find it to be much more gentle than a Clarisonic. It’s so handy that you can charge it via USB and one charge lasts 300 uses – how good is that! I’ve been incorporating it into my pamper routine when I need a bit of an extra cleanse and I really like it! I’ll review it more later once my skin stops behaving like a teen though. The Rene Furterer Lissea Leave-In Smoothing Fluid has been making a regular appearance in my haircare routine recently. As I wear my hair straight a lot of the time, it really helps create a sleek look at the ends, yet doesn’t weigh my hair down and makes it feel so much softer! Finally, I’ve got to declare my love for the Jo Malone Wood Sage and Sea Salt perfume. Ahhh, it’s honestly the most dreamy spring/summer scent. It’s light and fresh, yet has deeper undertones which makes for a long lasting scent. I might write a post about my favourite summer scents soon, but definitely give this one a sniff next time you’re near a Jo Malone counter!